The first ball in 1970 for the World Cup was not made in Europe: Tricolore created in Marokko. 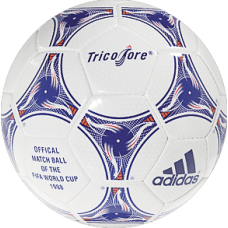 World Cup Ball 1998 Tricolore became the first colored ball in world championships. Under creating of this ball used syntactic foam that meets including equal distribution of power at impact. With a layer of synthetic foam match ball "Tricolor" has become the most easy to handle the ball in the history. The ball used tire inclusions of bubbles filled with gas. This made the ball more responsive to touch, like as foot and head that is perfectly demonstrated Zinedine Zidane in the final match against Brazil. Name "Questra" comes from the ancient word for the pursuit of the stars (the quest for the stars). 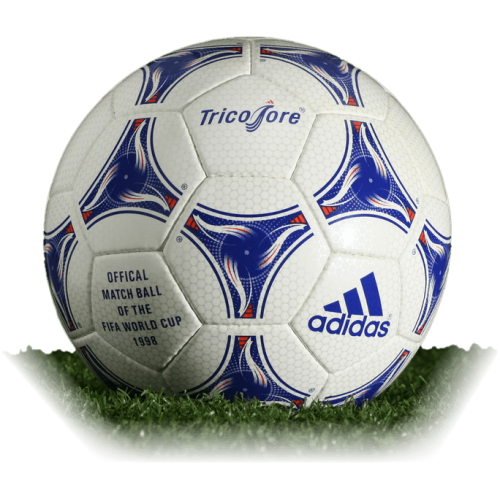 T..
World Cup Ball 2002 Fevernova was obtained as a result of three years of work to improve the previou..